Macedonia Baptist Church has been very blessed with a team of leaders who are fully committed to seeking the Lord for direction through His word first and foremost. Terry has been serving as an elder since January, 2015. Originally from South Bend, Indiana, Terry has lived in North Carolina for over 20 years. He has earned degrees from: Purdue University (Bachelor of Science in Aviation Technology; 1988), Averett College (Master of Business Administration; 1996), and Southeastern Baptist Theological Seminary (Master of Divinity; 2002 and Master of Theology in Old Testament Hebrew; 2006). 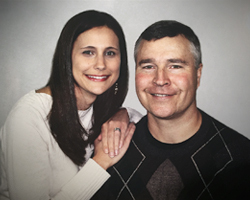 Prior to attending seminary, Terry served in the United States Marine Corps for 14 years. Reading the Bible and biblical theology top the list of his hobbies, but he also finds time for lifting weights and riding his motorcycles. He enjoys just about any activity that involves the outdoors. Terry and his wife Emily are both deeply committed to the ministry at Macedonia and look forward to see how God continues to work in the lives of those who are in the body. Danny and his wife and their two children came to Macedonia in 1984. Growing up and working in the Fuquay-Varina area gave him an instant connection with the church family and the culture of the community. Danny went on to complete his seminary training at Luther Rice Seminary in 1989. Over the past 30+ years the Lord has used Danny and his family in many areas of ministry at Macedonia and beyond. His passion is to see believers grow deeply in their faith through in-depth theological training from scripture. He especially loves to pour his life into young men who will grow to become leaders in their homes and the Church. Water skiing, gardening, range shooting and hunting are just a few of Danny’s outdoor enjoyments. He and his wife Jane have three children, two of whom serve at Macedonia. One of their deepest joys is spending quality time with their three children and their spouses and five grandchildren. Dan Jarmon is the eldest of Danny and Jane Jarmon’s three children. At a very early age the Lord began to work in his heart, and he trusted Jesus Christ as his Lord and Savior. During Dan’s teenage years God continued to work in him for growth in sanctification and knowledge of His plan for his life. Over the years Dan has served in numerous capacities of teaching and leading at Macedonia. For the last several years Dan has faithfully taught and led our young adult ministry and the worship music ministry. Dan is a graduate of North Carolina State with an Associate’s degree in Agriculture. He also attended The College at Southeastern in Wake Forest, North Carolina where he completed numerous classes in Biblical studies. Dan is a small business owner and provides construction and specialized up-scale home improvement services in and around our area. In 2002, Dan married his high school sweetheart, Valerie, and together they have four wonderful children: Cooper, Paisley, Crosby and Sadie. Jon Kintner was born in Peru, South America to now retired Christian missionaries Paul and Elaine Kintner. At the early age of eight Jon recognized his need for a personal relationship with Christ instead of relying upon his parents’ Christian legacy. Jon trusted Christ as his Lord and Savior. During his teenage years, Jon actively helped his parents in church planting and camp ministry. 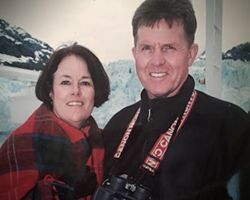 Later, he left Peru to attend college at Baptist Bible College of Pennsylvania (now Clarks Summit University), where he graduated with a Bachelor of Science in Bible in 1995. In 1996 Jon moved to North Carolina and married his childhood friend, Brenda, and together they have three wonderful children; Jonnie, Lauren and Aaron. In the summer of 2010 the Kintners moved to Virginia to work full-time in a Christian Camp ministry. In 2012 they returned to North Carolina and began attending Macedonia Baptist Church and soon after became members. Over the last several years Jon and Brenda have been actively serving in our young adult ministries, and for the last year they have led our missions ministry. Jon is currently the Facility Manager at Russell Carroll Manufacturing.